The Plumbing & Heating Co. If you have an older home, don’t be surprised if some plumbing issues start cropping up. Older properties often have outdated plumbing systems and outdated piping that can cause serious issues for homeowners. Being aware of some of the more common flaws can help you develop a game plan for repairs, so here are some for your benefit. Two types of outdated piping are regularly found in older homes: galvanized and polybutylene. Both can develop serious problems over longer periods that will force homeowners to replace them. Galvanized piping, used in homes built before the 1960s, erodes over time, causing leaks. Corrosion from galvanized piping also impacts water quality. Polybutylene piping, used from 1970 through the 1990s, reacts to oxidants found in water and deteriorates. The pipes and fixtures inside your home are only part of your plumbing system: You must also consider the sewer lines on its exterior. Your sewer lines safely transport wastewater to local treatment facilities, so they need to be in top shape. Outdated sewer lines can lead to costly leaks and spills that could damage the environment. This is often caused by tree roots growing into an older sewer system. The minerals present in water take a toll on faucets and other bathroom fixtures. Calcium and other compounds collect on faucets and eventually eat away at them, causing them to crumble. Mineral deposits on faucets can also reduce water pressure. When moving into an older home, consider replacing its faucets with newer, more durable models. 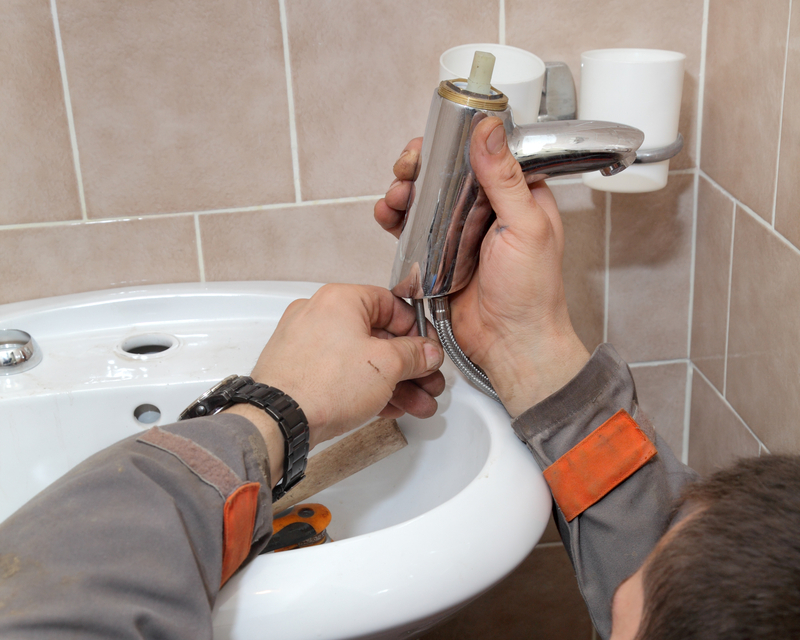 Drains are often one of the first components of an older plumbing system to go. If not cleaned on a regular basis, debris builds up and creates clogs or slow drains. If you don’t know the last time you had your home’s drains cleaned and inspected, clogs and sewage backups might not be far behind. Your home’s foundation move and shifts periodically, which can result in a phenomenon known as “pipe bellies.” The term describes sewage pipes that have bent, creating an uneven slope for drainage. Pipe bellies cause erosion, making sediment collect in your pipeline that creates blocks and drainage issues. The best way to determine if your older home’s plumbing system is suffering from any of the issues above is to have it inspected by a professional. For more than 25 years, The Plumbing & Heating Co. in Juneau, AK, has provided outstanding residential and commercial plumbing and HVAC services. They also offer 24/7 emergency repair solutions for those in need. Call them today at (907) 789-3332, or visit their website for a complete list of services. Other Announcements, Events and Deals from The Plumbing & Heating Co.
Can Hard Water Damage My Plumbing? A. The Plumbing & Heating Co.